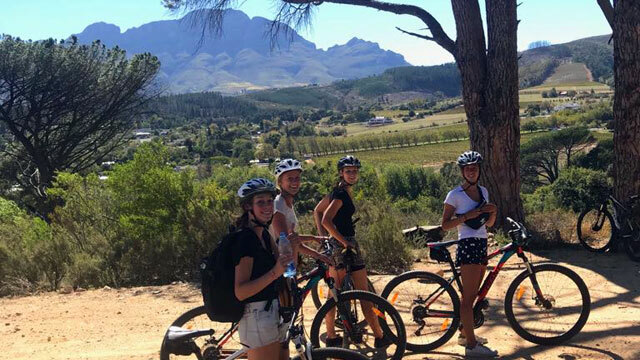 Stellenbosch is a very popular destination for outdoor sports and activities, including hiking, cycling, mountain biking and trail running. The steep slopes of the Jonkershoek Valley include some amazing downhill tracks but for those prefer something less extreme you can rent bicycles and ride on a tarred road to the Jonkershoek Nature Reserve and then tackle an easy and mostly flat gravel road to reach the wonderful picnic spot on the river surrounded by high mountains. 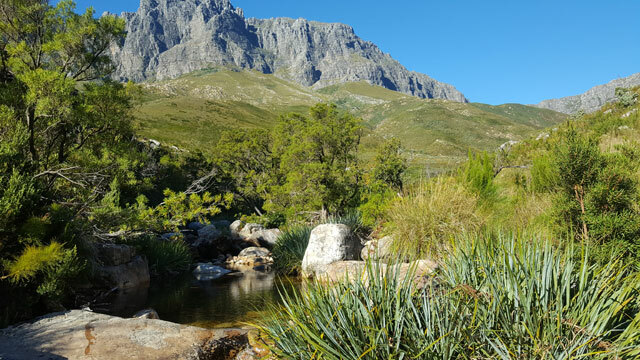 The Jonkershoek Nature Reserve also features some of the best hiking in South Africa, from a short 30 minute trip to a waterfall where you can swim to the amazing 6-8 hour panorama route which starts at the bottom of the valley and climbs almost 1000m to the ridge line with amazing views before decending back into the valley. 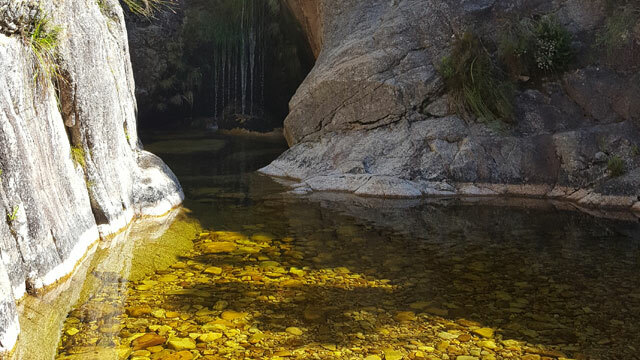 A popular variation of the full panorama route descends past two waterfalls as well as a wonderful rock pool which catches the afternoon sun, so you get to cool off after the long hike. 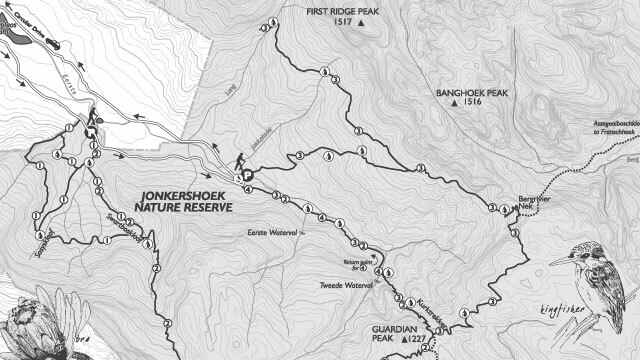 It's important to note that while the longer Jonkershoek hiking routes shouldn't be done alone as they are not very busy and you may not have mobile phone reception should you twist your ankle or have any kind of emergency. The other is however much safer than many other hiking routes in the country.